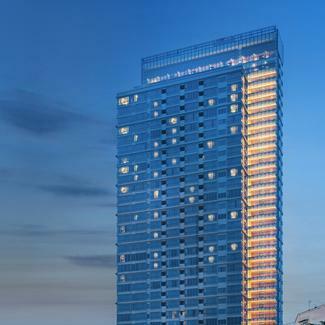 The Bangkok Sathorn by L&H designed by Tandem Architects (2001) is ready to move in! 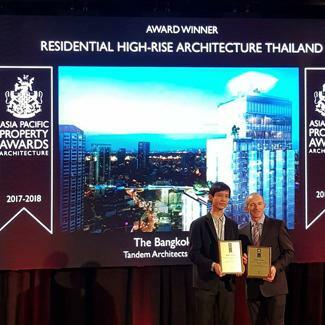 'The Bangkok Thonglor' designed by Tandem Architects (2001) has received 'THE BEST' Residential High-rise Architecture Thailand 2017-2018, from the Asia Pacific Property Awards. It is also being nominated to compete further in the Asia Pacific region! 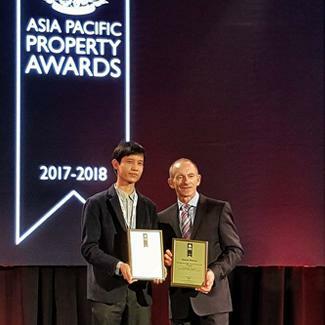 'Ideo Mobi Sukhumvit 66' designed by Tandem Architects (2001) has received an award winner for Architecture Multiple Residence Thailand 2017-2018, from the Asia Pacific Property Awards. 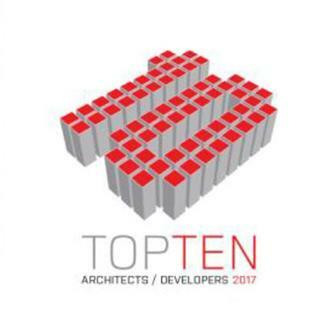 Tandem Architects are proud to be awarded for '12 years' continuously with the prestigious BCI Asia Awards (BCIAA) – Top 10 Architect Awards. 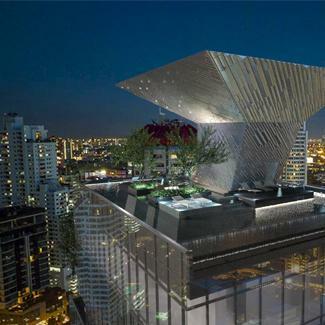 We strive to be one of the leading architectural firms in Thailand for many more years to come! Inside the lobby atrium of the new Premier Inn Hotel, currently on going construction. 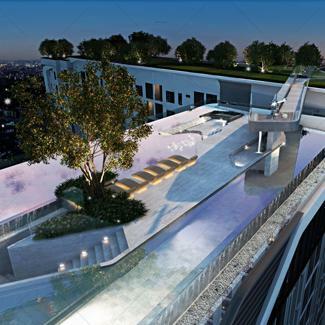 360 degree rooftop swimming pool on top of Land & Houses' the Bangkok Thonglor project, designed by Tandem Architects (2001). 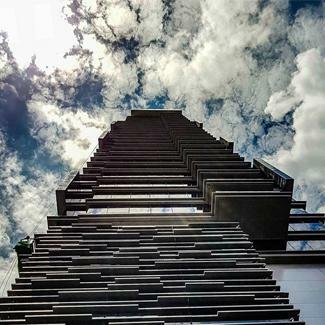 Looking up to one of our proudest projects, The Bangkok Sathorn, Land and Houses' ultimate luxury class condominium right next to Surasak BTS station. 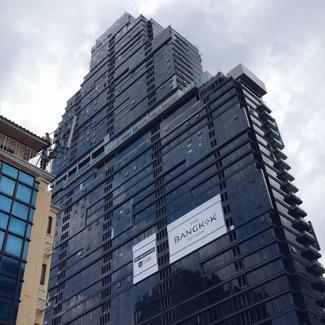 Moniiq Sukhumvit 64 condominium, designed by Tandem Architects (2001) will be ready to move in this August! 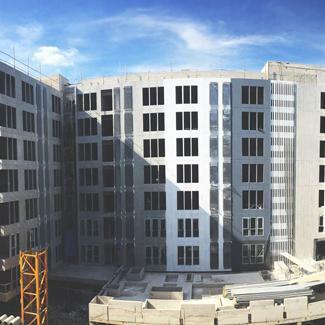 Check out how the construction progress looks so far. One of the alternative facades we designed for our client's office building. Tandem Architects (2001) always provide competitive options for our clients to choose. 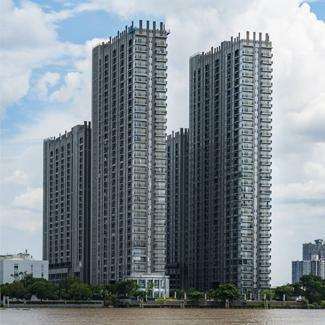 Right next to Chao Phraya river is where Major Development's Manor Sanambinnam project is located, designed by Tandem Architects (2001). 'Simplicity is the ultimate sophistication'. 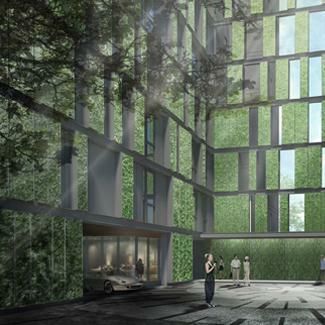 We're proud of Land and House's The Room Rama 4 project, designed by Tandem Architects (2001). Going for a weekend getaway this week? 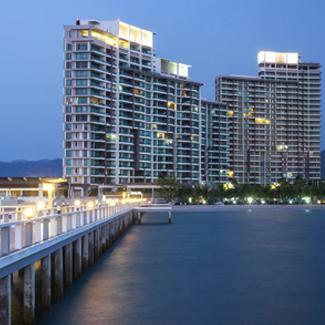 This night view is taken from Benyapha Properties's Casalunar Paradiso project in Cholburi, designed by Tandem Architects (2001). 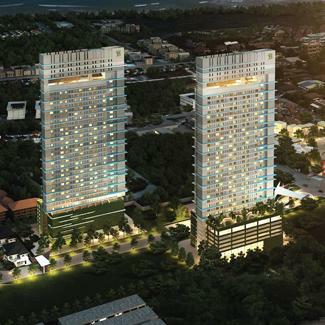 Take a look at Ananda Development's 'Ideo Tha Phra Interchange' project, designed by Tandem Architects (2001). With exquisite facilities on top floors e.g. 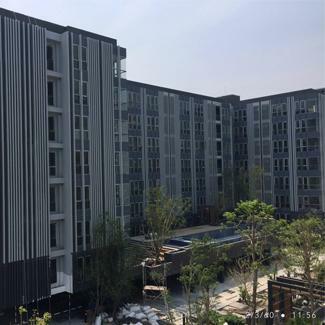 co-working space, sky lounge, sky fitness, cloud forest and the impressive white cloud pool, every residents would gain the best of it! 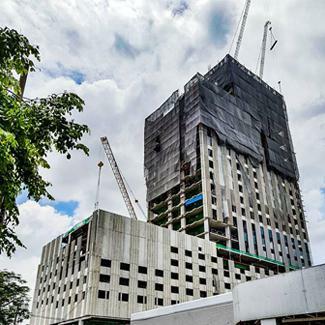 Updates on construction process of Moniiq Sukhumvit 64 project by Sankyo Home Thailand, designed by Tandem Architects (2001). 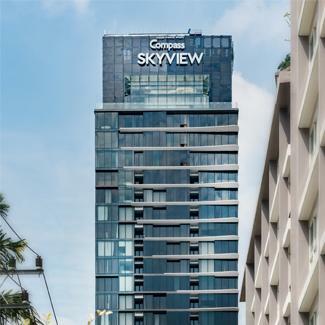 The Compass SkyView Hotel, designed by Tandem Architects (2001) has been soft-opening since early this month. 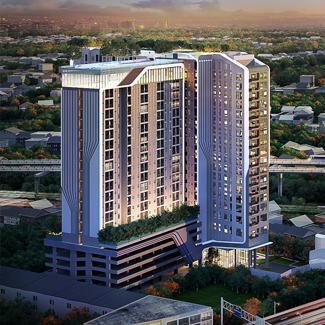 Ideo Tha Phra Interchange, the previously launched project by Ananda development featuring the roof top floor white cloud pool and forest. 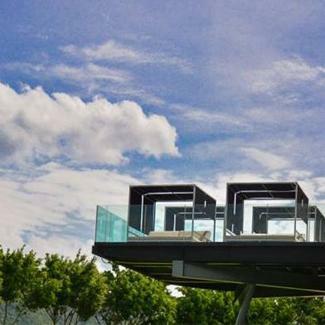 The Dusit D2 hotel at Khao Yai, just opening last month, could be your newest destination. Standing on this panoramic terrace enjoying the mother nature ahead is definitely worth a visit, isn't it? 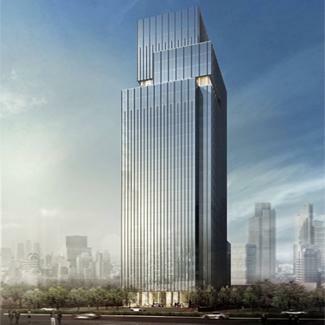 Another top project on top location is about to be revealed pretty soon!